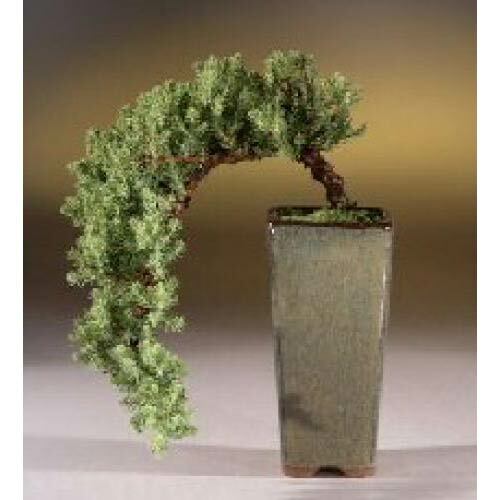 Oriental-Decor.com is proud to present our unique line of beautiful patio decor. 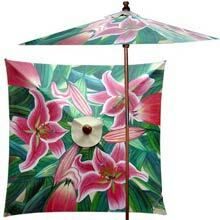 Our distinctive and eye-catching patio umbrellas are hand-painted by master craftsmen for a truly superb look. 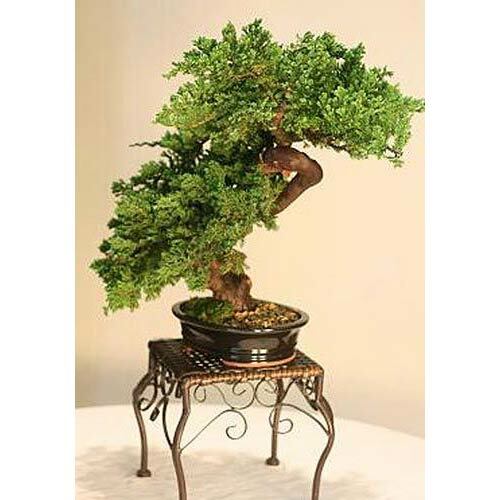 Each handcrafted patio umbrella is not only a practical furnishing, but a genuine work of art. 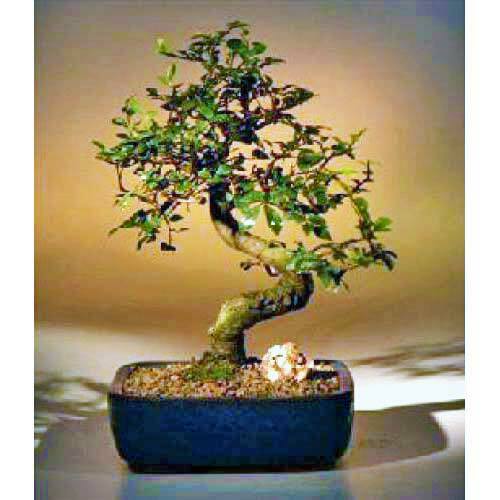 Choose from dozens of stunning designs in a variety of attractive colors. If you're looking for a hand-painted umbrella without a design, see our complete selection of market patio umbrellas. These solid color umbrellas come in your choice of many distinctive hues. Whether you try our 7 foot umbrellas or our 9 foot giant patio umbrellas, you'll marvel at how awesome this patio decor looks in person. 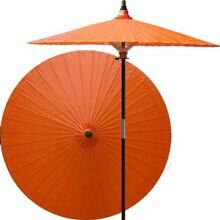 Made with high quality oak wood, these Asian inspired patio umbrellas will make the perfect centerpiece on your deck or patio. Our outdoor patio umbrellas come in a wide range of colors and beautiful designs. 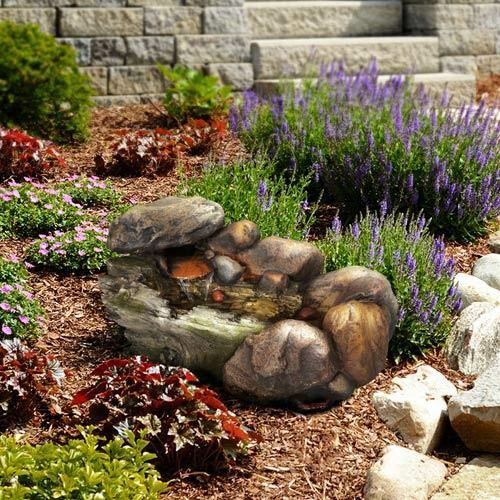 These umbrellas will make a unique decorative impact on your deck, patio, pool or even inside, at your next indoor event. Each outdoor patio umbrella has a height of 7 feet and a shade diameter of 6 feet, 4 inches - with each shade adjustable to two levels of height. The base and rod of our patio umbrellas are constructed from stained oak hardwood for a beautiful, rich look. The umbrella shade is made of oil-treated cotton, rendering it durable and able to resist the occasional shower - though we recommend taking it inside during inclement weather. 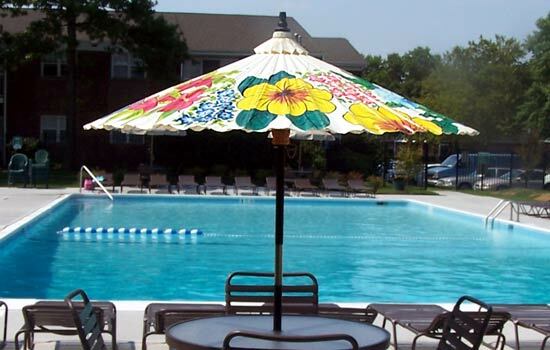 All of our outdoor patio umbrellas are available with an optional base. Our market patio umbrellas come in a wide range of colors and beautiful designs. 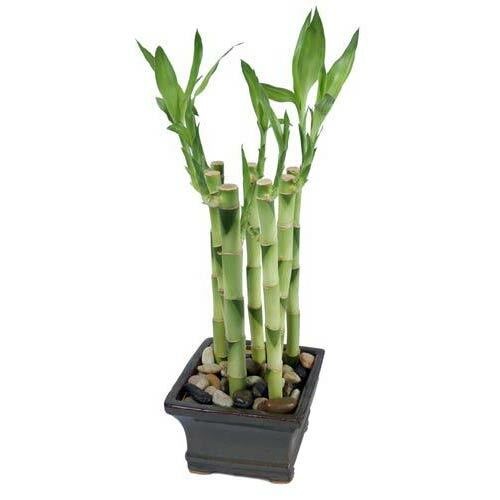 These umbrellas will make a unique decorative impact on your deck, patio, pool or even inside, at your next indoor event. Each outdoor patio umbrella has a height of 7 feet and a shade diameter of 6 feet, 4 inches - with each shade adjustable to two levels of height. The base and rod of our patio umbrellas are constructed from stained oak hardwood for a beautiful, rich look. 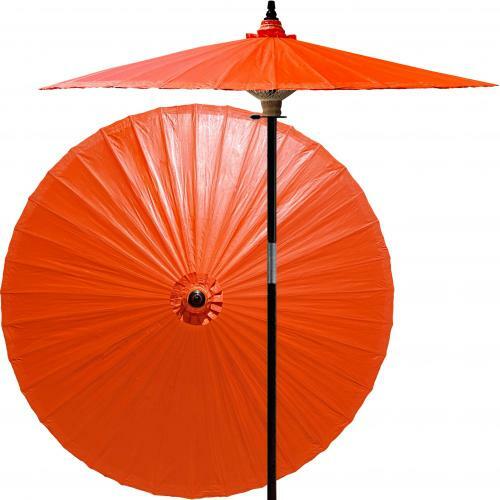 The umbrella shade is made of oil-treated cotton, rendering it durable and able to resist the occasional shower - though we recommend taking it inside during inclement weather. All of our outdoor patio umbrellas are available with an optional base. All of our large patio umbrellas stand 9-feet in height, providing maximum shade coverage from sun and rain. 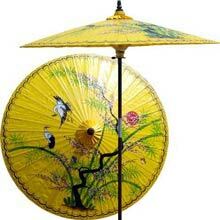 Each umbrella is hand-painted and handcrafted from high quality wood for a stunning decorative effect. 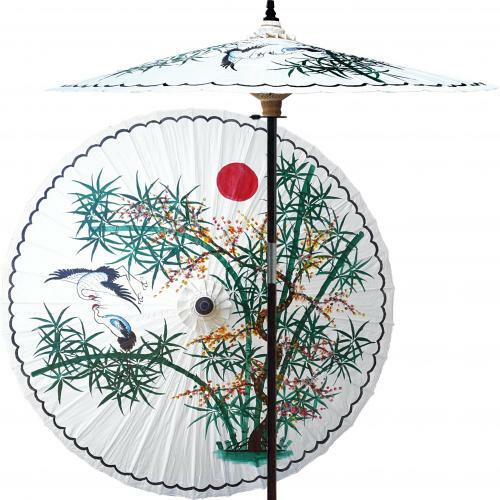 Painted on both the top and bottom of the umbrella shade, these stunning works of art will leave almost any spectator breathless with their colorful and vibrant designs. Make your patio stand out with one of our awesome large patio umbrellas today!